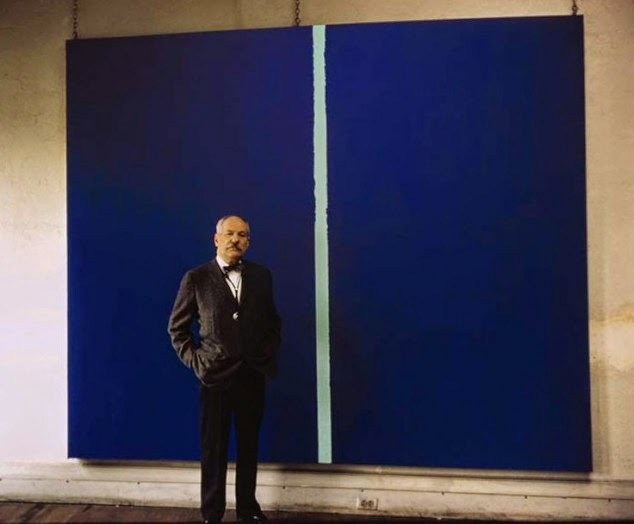 Barnett Newman with Onement VI in 1961. On April 14 the masterpiece sold for 43.8 million dollars via Sotheby's. "I hope that my painting has the impact of giving someone, as it did me, the feeling of his own totality, of his own separateness, of his own individuality."